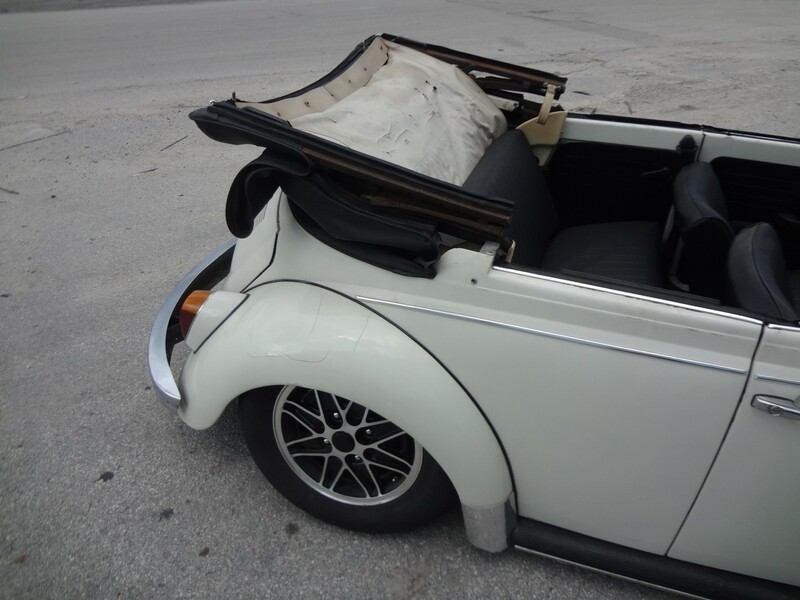 This unique convertible came in for a height adjustment. 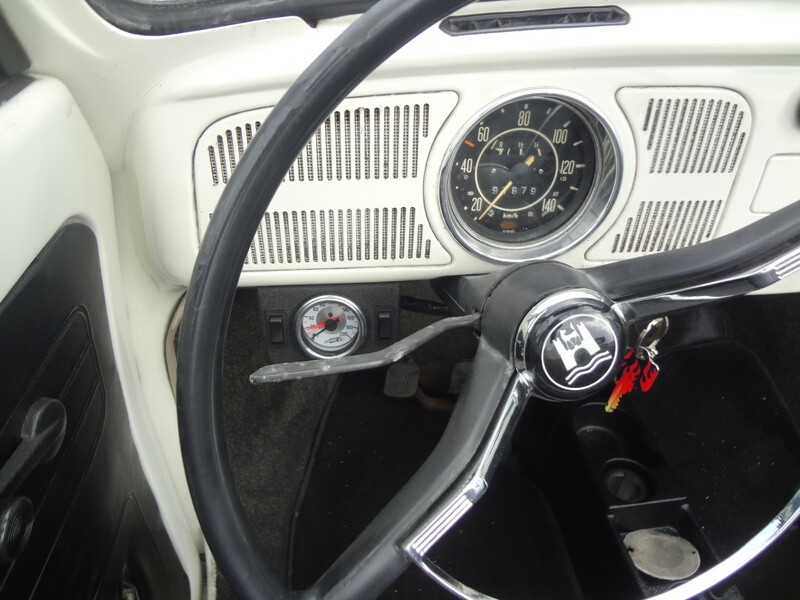 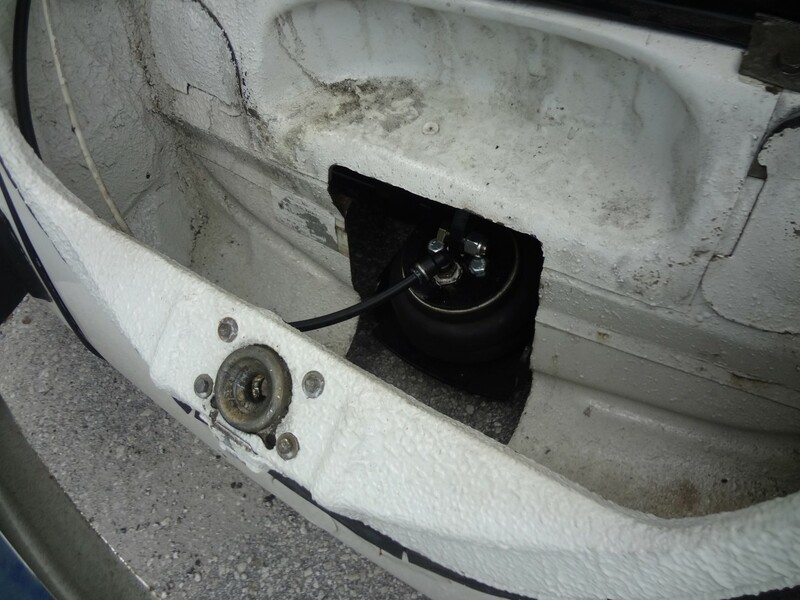 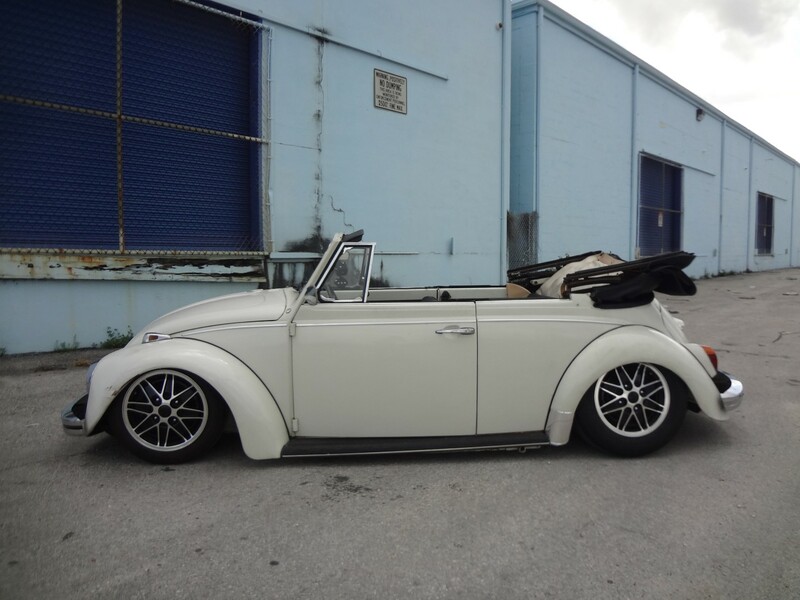 It was sitting low when it arrived but the owner wanted the ability to adjust the ride height at the touch of a button. 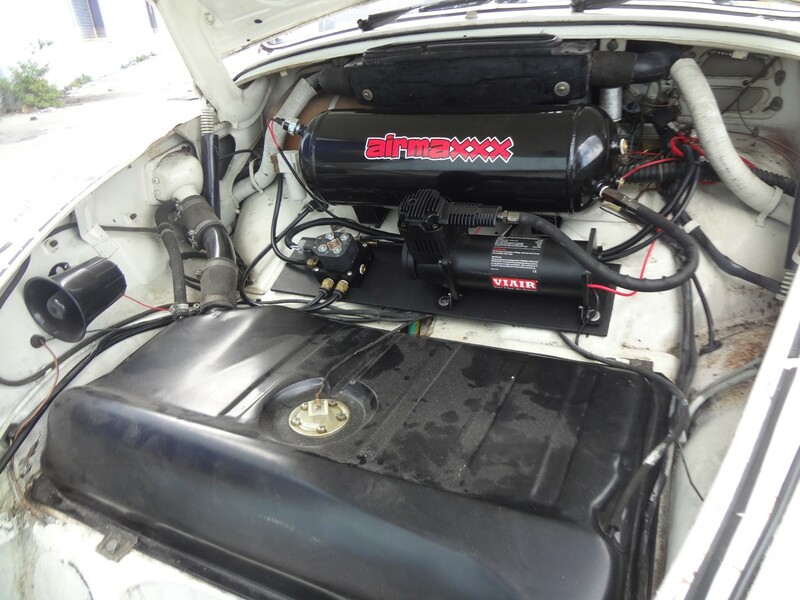 To keep things simple we used Accuair VU2 valve block to control front and rear, Viair stealth flat black compressor and an Airmaxxx powder-coated gloss black tank take car of the air supply. 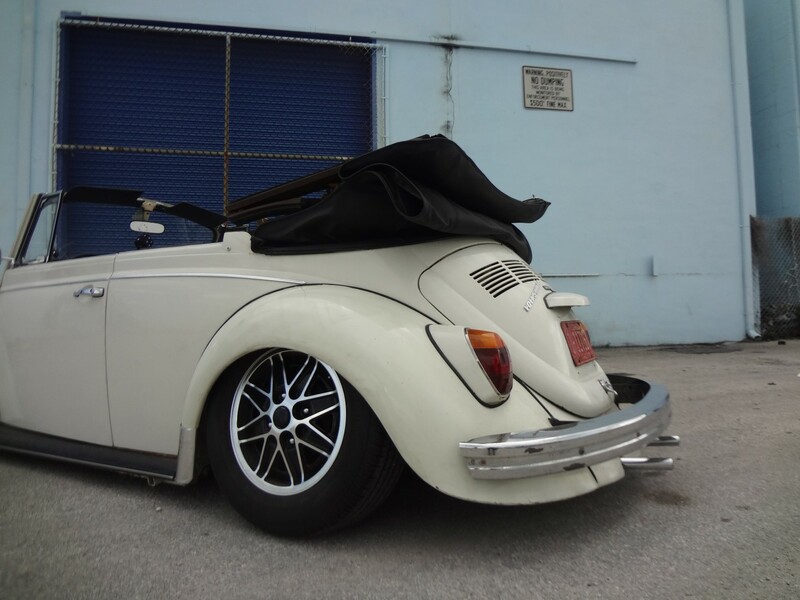 Up front we contacted Matt (King Tuk) from Punch Drunk Customs to provide a single bag air beam along with new tie rods, narrowed total 4″. 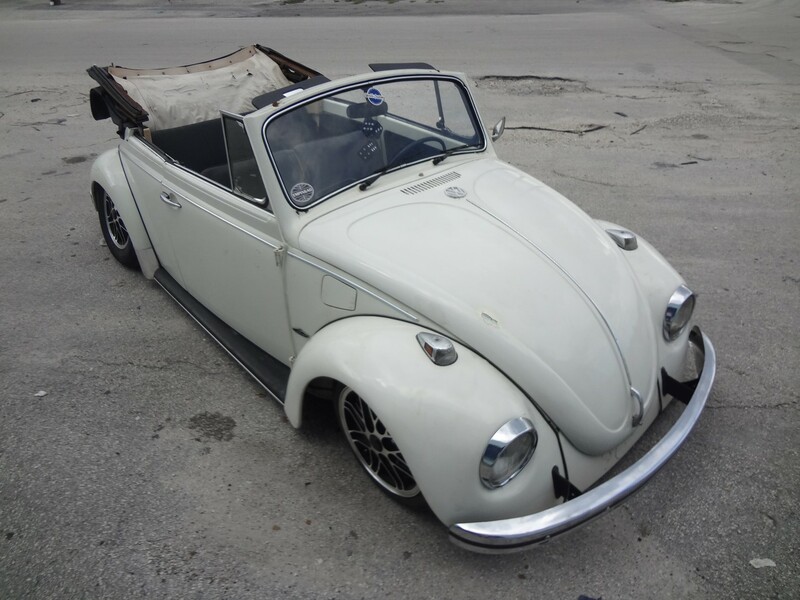 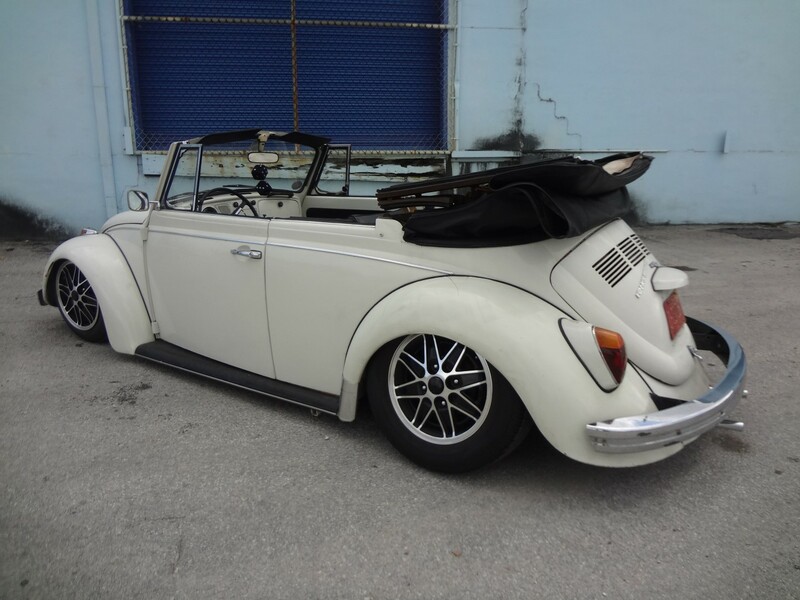 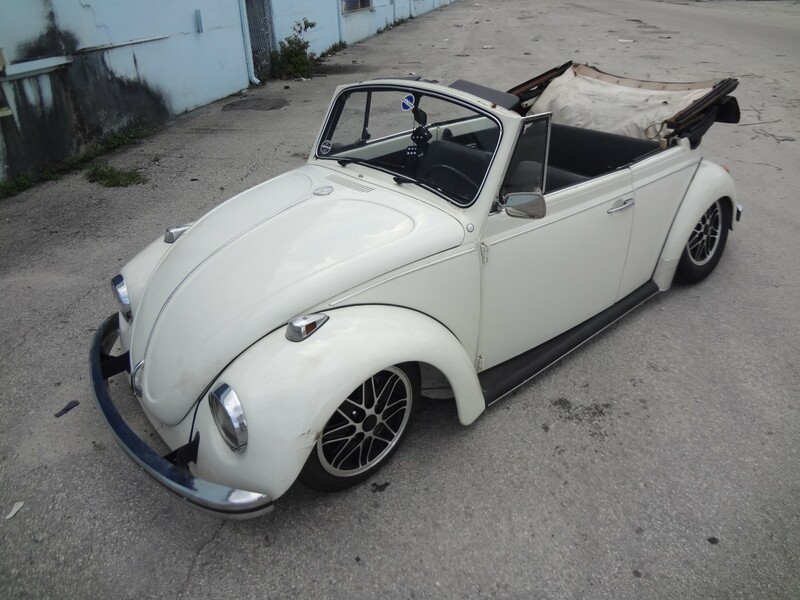 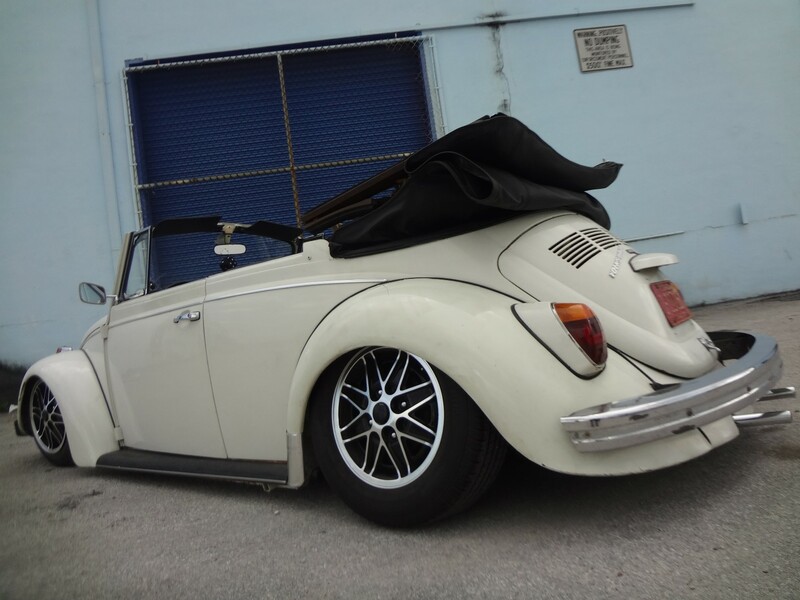 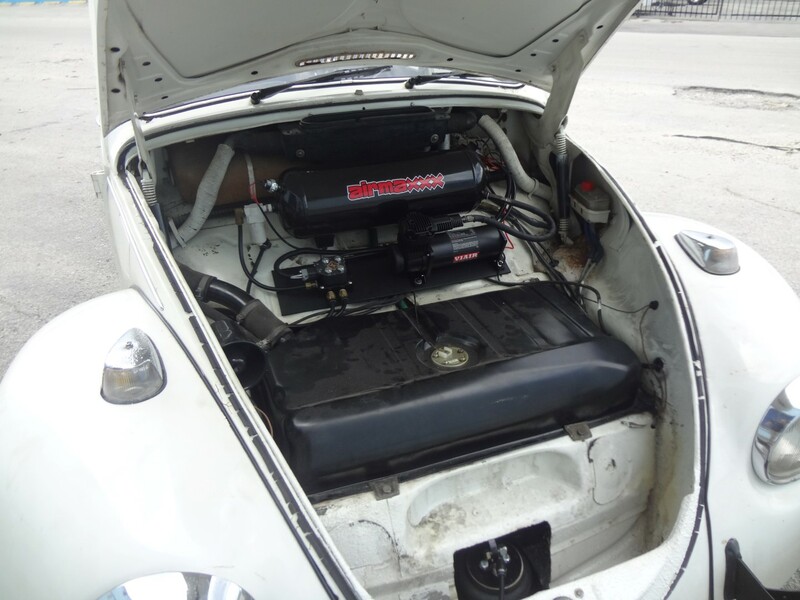 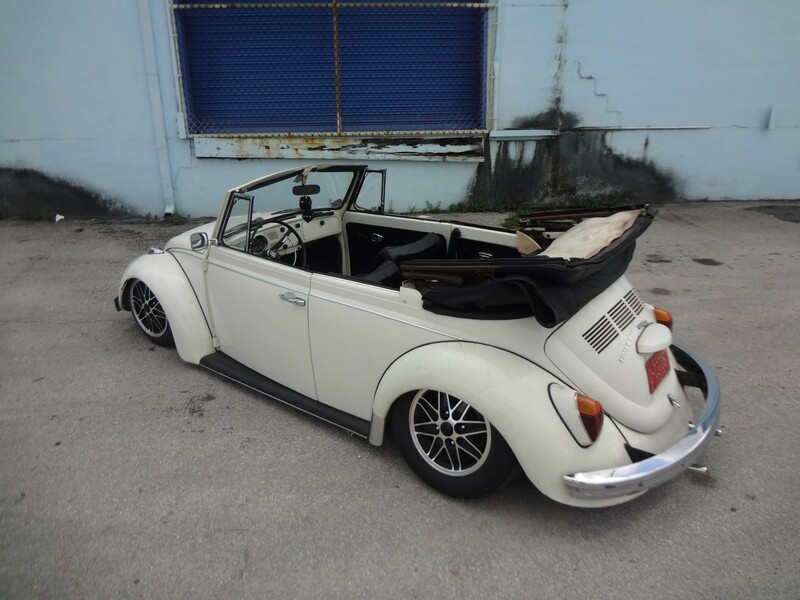 Slam Specialties RE5 bag handles the front end weight of the bug while out back we used an Airkewld airbag kit that eliminates the torsion bars and adds aluminum trailing arms as well as weld in upper bag brackets / braces to mount the bags and keep things nice and tight. 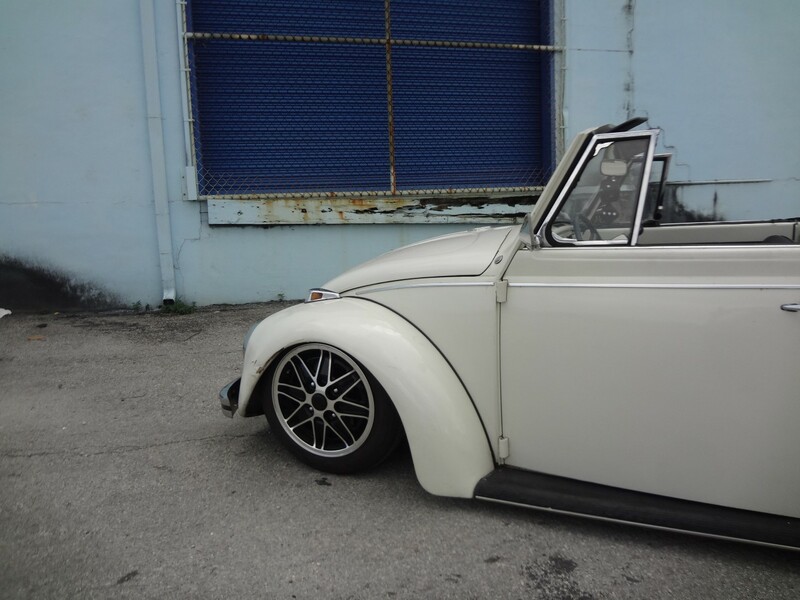 The car now has a great driving stance with the ability to park it on the ground and raise it enough to get over speed bumps.